This is surely an eventful time for fans of Robert Allan Zimmerman with the release of Tempest and the forthcoming concert at the Barclays Center. 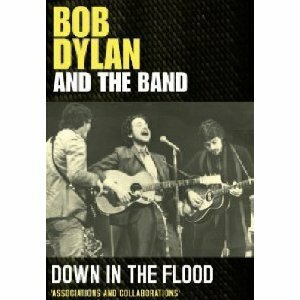 As you can see above a new DVD was released about Dylan and his Band. It traces the history of the group from it inception as the Hawks as the backup band to Ronnie Hawkins. It tells how they hooked up with Dylan for tours in 1966 and 1974. It features interviews with Garth Hudson, John Simon, Mickey Jones, Charley McCoy, Barney Hoskyns and others. I highly recommend it for all Dylan fans.